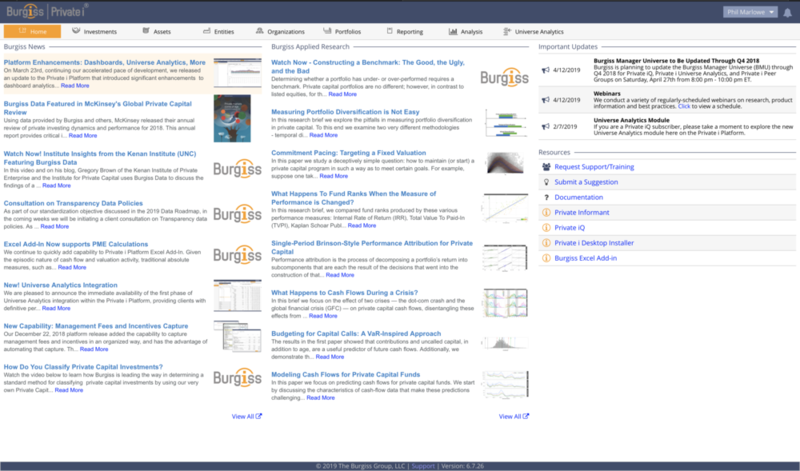 This release includes an update to the Private i Platform, providing Holdings-Based Composition, introduces the time-zero-based Universe Analytics Profiler, and features Burgiss News Feeds. 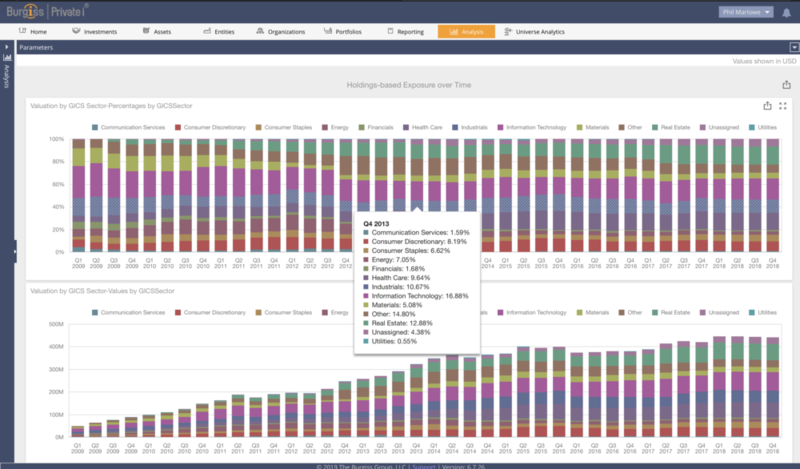 The first of our platform dashboards to look at underlying holdings of funds, this time-series allows you to study and analyze either industry or geographic concentration, and see its evolution over time. Hovering over elements displays further compositional breakdowns, which can be viewed in full through drilling down by double-clicking. Individual funds or groups of funds can be explored further by sub-selecting one or more investments from the a preview screen. All results are exportable to Excel. Continuing the migration of Private iQ into the platform, this release incorporates the Profiler, a time-zero-based analysis that provides an intuitive way to examine the performance and cash flow behavior of a selected set of funds over their life. Selection criteria include Vintage, Asset Class, Geography, Development, Industry, Fund Size and Currency. The measures supported include rates-of-return, multiples, transaction summaries, and public-market comparisons. Other parameters include choice of currency and indexes. Our webinar schedule is now permanently available under "Important Updates" on the Platform homepage, making it easier for users to register for upcoming events. All documentation is now consolidated in one link.